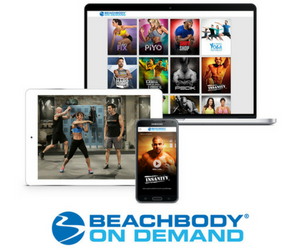 TurboFire is Beachbody’s newest cardio-based fitness program by Chalene Johnson. Designed as a maximum, fat-burning program, TurboFire is available in 12-week and 20-week long programs. Based on High Intensity Interval Training (HIIT), TurboFire helps you burn calories long after the workout is over! Your metabolism will get a giant boost with this fat-burning workouts. Click to order TurboFire – 12-week ($119.95) – includes FREE bonus DVD Greatest HIITs! You also get a Fuel the Fire Nutrition Guide that features delicious healthy meal plans. These easy-to prepare recipes will help you maintain your energy levels while you training with TurboFire. TurboFire also includes Shakeology and P90X Results and Recovery formula into it’s healthy nutrition and recovery plan. Why is Shakeology part of the TurboFire Fuel the Fire Nutrition Guide ? 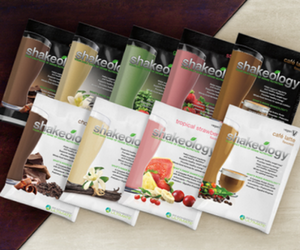 Shakeology everything you need for your body to stay healthy and nourished. You can replace a meal with Shakeology and use one of our delicious recipes, or mix some water, crushed ice, and a scoop of Shakeology. It is much better for you then putting bad food in your body. When you do tough workouts like TurboFire, your body and muscles will be depleted. That’s when it’s time to refuel and start preparing your body for the next workout. TurboFire base 12-week DVD package + Shakeology monthly = Savings $185. TurboFire deluxe 20-week DVD package + Shakeology monthy = Savings $215. TurboFire base 12-week DVD package + Shakeology monthly = Savings $95. TurboFire deluxe 20-week DVD package + Shakeology monthy = Savings $125. When you order Shakeology on our Home Direct (HD) monthly autoship program, you also get free shipping! You are worth it! Join as a Coach today and start saving on your health! There is no obligation whatsoever to participate in the Coach business. You can just join to get the discount. You will pay a $39.95 join fee and a $14.95 monthly fee (these fees are already taken into consideration in the above calculations).